When you’re juggling multiple credit cards, managing them all like a pro while paying down the balances can be a major challenge. Wouldn’t it be nice to send just one payment every month and not have to worry about a variety of due dates? If you were to consolidate your accounts, you could. More so, consolidation may reduce the finance fees you’re currently paying and sometimes even increase your credit rating. But before you say, “sign me up,” get to know the different methods of debt consolidation, and how they may — or may not — help you with your financial and credit goals. Best for people who can afford higher payments and want to pay off the debt within a fixed number of years. The idea behind a consolidation loan is to borrow enough to cover the balances on your credit cards. Once the debt from your credit card companies is shifted over to the new lender, the balance on your cards will read as paid. If the average interest rate on your credit cards is higher than the loan’s rate, you will save money, though there is often an upfront fee of a few percentage points to take the debt on. You’ll repay the debt over a certain number of years (usually from one to five years) with fixed payments. Those payments will be higher than the expected minimums of the credit cards, so your income will have to be large enough to handle the hike. To start the search for consolidation loans, check out PersonalLoans.com and BadCreditLoans.com, which can connect you to a network of lenders and will shorten the application process. Ask also what your bank or credit union is offering. Sometimes an established relationship with a financial institution can net you the best offer. Best for people who can pay off their debt within a short low-interest introductory period. 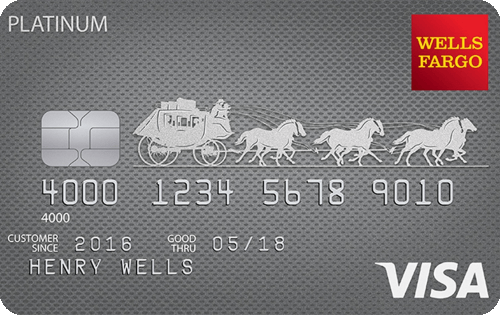 With a balance transfer credit card, you can move existing credit card balances to a new credit card account. Since balance transfer credit cards offer super low introductory interest rates — sometimes 0% — for a specific number of months, you can pay the entire debt off with virtually no finance fees added (though many charge a transfer fee of about 3% to 5% to absorb the debt). After the introductory period expires, the interest rate on that account will rise to the standard rate. If a balance remains when the standard APR applies, but the APR is still lower than what you had with the original accounts, you will continue to come out ahead. There are many balance transfer cards, so review the bulk of them before deciding. Among the top deals now: Discover it® Balance Transfer, Wells Fargo Platinum Visa card, and the Chase Freedom Unlimited®, all of which come with a 0% intro APR for at least 15 months. Best for people who have accumulated equity in their home and are in a stable financial position. If you’re a homeowner and have accumulated equity in the property, you can take out a loan or a line of credit and use it to pay off your credit card debt. A home equity loan allows you to borrow a lump sum with a fixed interest rate, and a home equity line of credit (HELOC) — where you draw against the equity whenever you need it — has a variable interest rate, so the rate can increase over time. The interest rates on both types are significantly lower (around 7%, as per U.S. Bank’s calculator for a $15,000 loan or HELOC) than those of credit cards, which are averaging APRs of 17%. You would be switching unsecured accounts — your credit cards — for loans that are secured by the property. Contact your mortgage lender to discuss options, but also check with various other banks and credit unions to see what rates they’re offering. This is best for people who are in a stable financial position. Best for people who have cash saved and invested in their 401(k) or 403(b) retirement plans and whose jobs are reliable. Another idea is to take a loan against the funds you’ve accumulated for your retirement years. According to IRS rules, you may borrow a maximum of 50% of your vested balance or $50,000, whichever is less, and have up to five years to repay. The interest rate is the current U.S. prime rate plus 1%, so it’s almost guaranteed to be lower than what your credit card companies are charging. You do have to be sure of your job’s stability, though, because if you quit or are fired, the entire balance would be due within 60 days. If you don’t pay it back, the debt will be taxed and a 10% penalty will be imposed. Review this option with your human resources department and a qualified financial planner. Best for people who have or are about to fall behind on their credit card bills but can meet the minimum payments as well as basic living expenses. Nonprofit credit counseling agencies provide stressed-out debtors with another form of debt consolidation. It begins with a free counseling appointment where you develop a budget and analyze your assets and liabilities. A debt management plan may be introduced as a way to pay off your credit card bills. If you accept, the agency takes over the management of your accounts. You send one fixed payment a month to them, and it disperses the funds to your creditors. The repayment time frame is between three to five years. Many credit card issuers reduce interest rates for consumers on the plan (and some waive them entirely). There is usually a small monthly administration fee. You would be required to close the accounts and agree to not open more while the plan is in effect. To find an accredited credit counseling agency, contact the National Foundation for Credit Counseling or the Financial Counseling Association of America. Best for people who know someone who can lend them the money and are sure they can repay that person. Yet another way to consolidate your debt is by asking a friend or family member for a loan. If that person agrees, you would use it to eliminate the balance on your credit cards, and you would owe that person instead. Although not required, both parties — you and the person lending you money — should draw up a contract outlining the terms of the arrangement. It would include the starting balance, monthly payment, interest rate (if any), the way payments will be accepted (by check, cash, money order, or electronically), and when full payment is expected. Look around your social circle for personal loan options. It must make you feel more in control of your money. It’s a good sign if you believe that making one payment instead of several will help you manage your financial affairs more efficiently. Many people find it much easier to drive debt down when they can focus on a single account versus many. The monthly payments must be feasible. Your payments will increase if you repackage your revolving credit card debt into an installment loan. Credit card companies often expect 2% to 5% of the balance as a minimum payment — so, for a $10,000 credit card balance, the minimum payment would be at least $200. If you were to consolidate with a three-year loan, the payment would be about $332 (assuming a 12% interest rate). If you’re barely meeting bills now, how will you handle the larger payments in the future? The financing fees should be reduced. One of the best aspects of a good consolidation arrangement is the ability to lower your interest rates. The less you pay in financing fees, the more of your payment will be applied to the principal. Therefore, it will take less time and money to repay the balance. You can avoid getting into more debt. For all but the credit counseling option, you can — and are encouraged to — leave the original credit cards open. That can be dangerous since accounts with freed-up credit lines can be tempting. You have to be committed to living within your means to make it work. All financial institutions that issue credit cards and grant loans analyze applicants for risk. Consequently, if you’re looking for a consolidation loan or a balance transfer credit card, your credit reports and scores will be pulled. FICO and VantageScore credit scores range from 300 to 850, and higher numbers are indicative of lower credit risk. A quick scan of the available 0% APR cards that you may want to use to consolidate your current credit card debts shows that most expect good to excellent scores. That means having scores of 700 and above. If your credit scores are low, appealing to an issuer can be tough and you may be rejected. You may qualify for a consolidation loan with poor scores, but the terms probably won’t be attractive. Borrowing more money at a higher interest rate doesn’t make much sense. Your credit reports and scores aren’t a qualification factor with the other consolidation options — borrowing from your retirement plan, using home equity, credit counseling debt management plans, or a loan from a friend or relative. You can use any of them even if your credit is considered bad. In fact, credit counseling agencies expect a person’s scores to be low, so if yours are, that’s not a problem. A generous friend is unlikely to request your credit report or scores but may ask around to see if you’ve made good on similar personal loans. Bad credit doesn’t always come in the form of a three-digit number. It can also come from a reputation you’ve built within your social circle. If you owe people all over town, finding a trusting person could be tough. Depending on the consolidation method you choose, it can either help or harm your credit rating. Consolation loans and balance transfer cards: When you apply for these credit products, a hard inquiry will be placed on your credit reports and factored into your scores. That can shave a few points off. However, you are also expanding your credit utilization ratio, and that’s positive for your scores. If your credit card debt is close to or at your available credit limit, you’re using up too much of your credit line. A new loan or credit card that will cover those balances will zero out the credit lines, so your scores should increase. If you make your payments on time and delete the debt quickly, your scores will really improve. Retirement plan loans and personal loans: Taking out a loan against your 401(k) or 401(b) plans or borrowing from a friend can be even better for your credit rating. That activity is absent from your credit reports, so all they will indicate is that the debt is gone. Your scores will increase when you have cleared the debt you owed on all your credit cards. Debt management plans: Enrolling in a credit counseling agency’s plan is not a credit scoring factor, but you have to close the cards and that can hurt your scores in two ways: First, you will shorten the length of credit history on your reports (keeping older cards active is good for your scores), and secondly, it reduces the number of credit lines you have available, so your credit utilization ratio will be negatively impacted. You will also have to be sure that the payments are made on time. Things usually go smoothly, but mistakes happen and if they do, you’ll be dinged. The upside of these plans, though, is that you’re paying off the debt steadily. Ultimately, your scores should benefit in the long run. What Happens to My Credit Cards After I Consolidate? Aside from the credit counseling agency’s plan, all the credit cards you are holding now will remain open. What you do with them is up to you. Keep the credit cards open. Because one of the credit scoring factors is the length of credit history, maintaining a relationship with a credit card over many years will benefit your credit scores. Charge with your cards regularly. You must use your credit cards to add information to your credit reports. Choose at least one necessary and affordable expense to charge to each credit card, like a small recurring Netflix or Spotify payment. Pay the bills in full. The last thing you want right now is to increase your liabilities, so when the bills arrive in about 30 days, be prepared to send the entire amount due. Honor the due dates. Payment history is the largest credit-scoring factor. Skipping even one payment will drastically reduce your score, so make a commitment to pay on time, every time. Every month that passes with you using the credit cards this way will do your credit scores a tremendous favor. If you use the credit counseling agency’s plan, the cards you included will likely be closed. However, any accounts you didn’t add to the plan because they didn’t have a balance will remain open. If you have open card accounts, apply the same strategy: charge, then pay on time and in full. How Much Can I Save with Debt Consolidation? The amount of money you can save with a debt consolidation arrangement depends on the method you use, the rates you qualify for, the loan terms, and the payments you make. Example 1: Minimum payment only — 342 months (28.5 years) to pay off with $14,423 paid in interest. The first payment would be $250, then declines with the debt. Example 2: Fixed-monthly payment — stick with the $250 monthly payment, and it would take 62 months (5.1 years) to be rid of the debt with $5,386 paid in interest. Example 3: 3-year consolidation loan — with a 10% interest rate and payments of $223, the total interest paid would amount to $1,616. 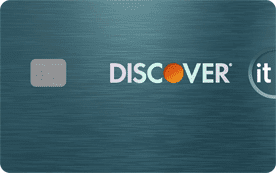 Example 4: 18-month 0% balance transfer credit card — monthly payment $566. A 2% transfer fee of $200, but total interest is $0. Examples 5: Home equity loan paid off in three years — 5.6% interest with $302 monthly payments will cost you $887 in interest. Example 6: Retirement plan loan paid off in three years — 4.5% interest with fixed payments of $297, the total interest would be $709. Example 7: Debt management plan — this is a little more complicated because the debts are arranged by interest rate, and the one with the highest rate takes priority. The payment remains constant and when one card is paid off, the next in line gets that payment. You can use a debt reduction calculator for a simplified comparison. Imagine you have three cards with a combined balance of $10,000, with rates of 29%, 23%, and 19%. With a steady monthly payment of $215, it would take nine years to repay and would cost you $13,168 in interest. However, if the agency can get the rates down to 15%, 11%, and 6%, the payoff time frame drops to five years, and the total interest cost is $2,806. Example 8: Friend or family loan — if your kind aunt wants to help you out with a loan, you may use the money to pay your credit card balances and pay her over the course of a year, interest-free. In that case, you’d have 12 monthly payments of $833, and the total cost to you would be zilch. Well, except for a major debt of gratitude. The most problematic issue with debt consolidation is not solving the underlying issue that got you into the hole in the first place. If you don’t mend it, you may end up in the same place you are now, but with fewer options because your credit rating is in a worse position. Overspending on nonessentials is a common reason for credit card debt. If you find yourself running short of cash before payday, you may pull out the plastic. Then the debt snowballs because you can’t afford to send the total amount due. If this is what got you here, take the time to construct a budget you can live with, and track your daily and weekly spending carefully. Make sure all expenses are necessary and reduce or eliminate the rest. Take the time to construct a budget you can live with, and track your daily and weekly spending carefully. Not planning for emergencies is another trouble spot. While you can’t predict every crisis or unexpected but important expenditure, you can save for them. Every payday or every month, set aside a certain sum and deposit it into a separate savings account. Setting aside $125 a month will net you $1,500 in a year. That may be enough to pay for a plane ticket to visit a sick relative, with cash to spare. The other drawback of consolidation is promising what you can’t deliver. Loan payments that are too high will be not just an added stressor in your life, but if you can’t meet them and the late payments end up on your credit report, your credit rating will sink. Some debt consolidation obligations have especially serious consequences, too. Not paying your home equity loan, for example, can result in foreclosure. And if you borrow against your retirement plan, you’ll be paying it back with after-tax money instead of pre-tax earnings, and the amount you take out reduces your earning potential. As for the personal loan, evasion of a balance owed to a friend or relative can ruin a valued relationship. When accounts are spread all over the credit card universe, it can be tough and expensive to get out of debt. By selecting the right option, consolidation can help you manage your money and pay less in interest. That will allow you to fulfill the promises you made to the new creditor, person, or organization, and make sure you don’t get back into the red again.